In recent years, concerns over the issue of air pollution have increased as one of the significant environmental and health problems. Air pollutants can be toxic or harmful to the life of plants, animals, and humans. Contrast to primary pollutants, ozone is a secondary pollutant that is produced by the reaction between primary precursors in the atmosphere. 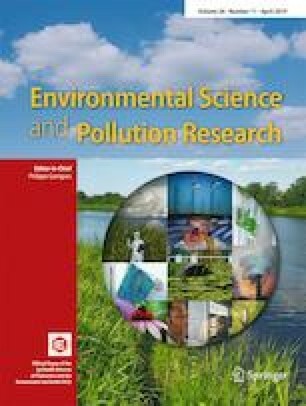 The average of air pollutant data was compiled for the purpose of analyzing their correlation with the pulmonary function of students and the FENO biomarker from the air pollutants of the Environmental Protection Agency. According to the average of 3 days, the concentration of ozone in the (S3) region was higher than the other regions, and this level was significantly different from the ANOVA test (p < 0.05). The results of artificial neural network modeling for three particular combinations in the cold season, two hidden layers with 9 and 12 neurons, with R2 = 0.859 and in the warm season, layer with 13 neurons, with R2 = 0.74, showed the best performance.